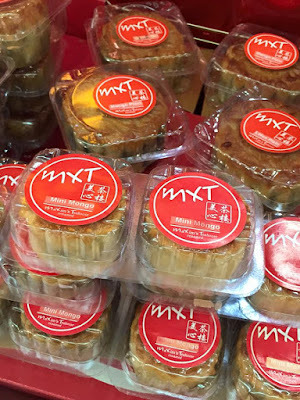 A mooncake is a special kind of pastry filled with red bean or lotus seed paste. It may also contain salted yolk or nuts. 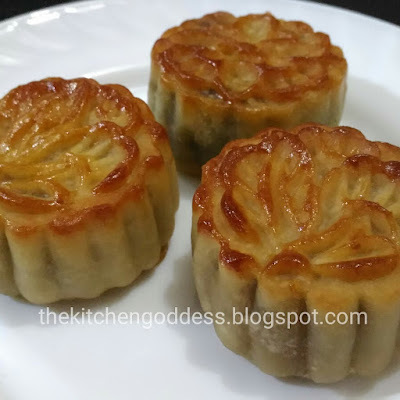 This is usually given to family and friends during the Mooncake Festival which is celebrated by the Chinese community around the world during the eight lunar month (in Chinese calendar) which usually falls during September or October. And because its Mooncake Festival, I'd like to share these yummy mooncake finds from MXT (Maxim's Tea House). 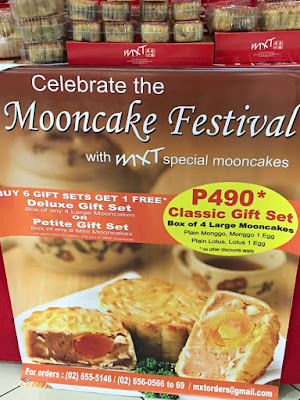 These mooncakes comes in a special tin box and comes in four flavors: monggo, monggo with yolk, lotus, and lotus with yolk. Personally, I love the lotus mooncake, with or without the yolk. Mooncakes are usually given to maintain harmony and unity among family and friends. Hence, it is nice to give mooncakes. And thru the years, the tradition of giving mooncake continues but it has also evolved into a gastronomic delight. 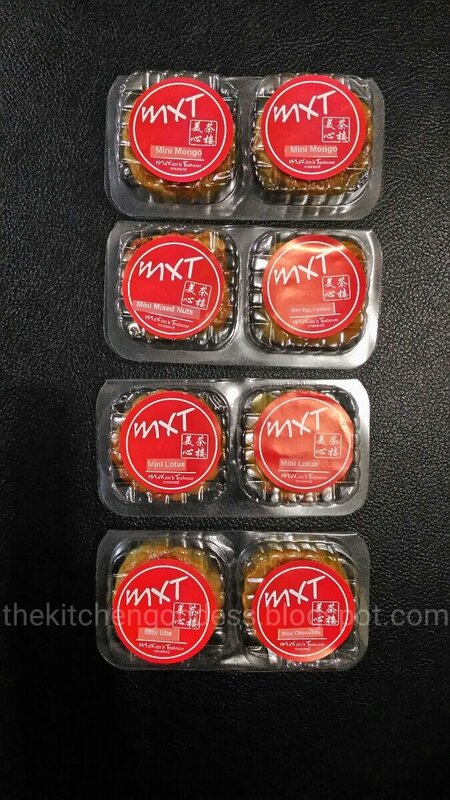 The flavors also evolved too-- from red bean and lotus paste, MXT now offers ube, chocolate, and egg custard flavor. The Deluxe Gift Set (4 large mooncakes) costs 490 as well as the Petite (mini-mooncakes, 8 pcs). Can't wait to try MXT's ube and chocolate mooncakes! 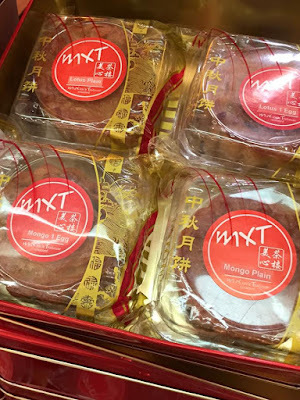 I've had MXT mooncakes before and they are the best hands down.